When Brandi Carlile and her band made their way through the thick, sold-out crowd at Gruene Hall minutes before they took the stage, it signaled something rather obvious: this show was going to be a little different. Never had I seen an artist as "big" as Carlile have to fight through her fans to get to where she needed to be. 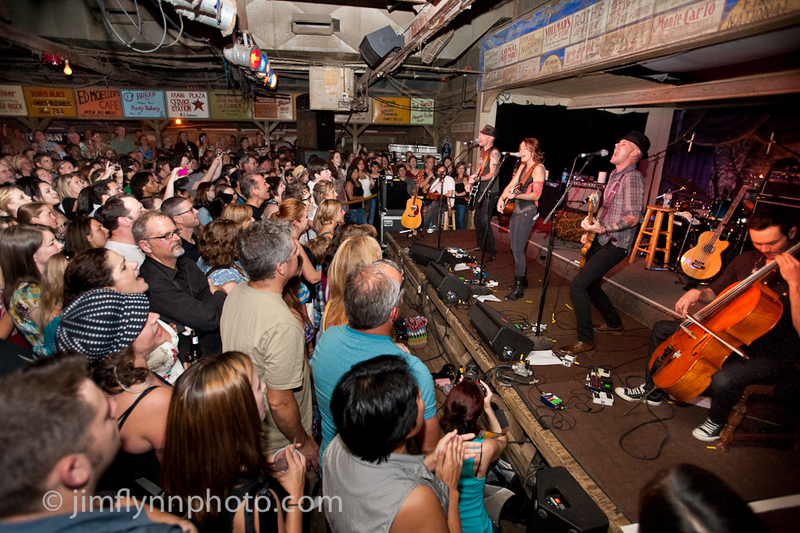 Gruene Hall, Texas' oldest dance hall built in 1878, may not have been built for a night like this. But, in the end, the little quirks that it offered -- like the bathrooms being behind the stage -- made the concert experience all the better for Carlile, her band, and Texas audience in attendance, in the sense that we all felt close for a couple of hours. And Carlile's music deserves this kind of engagement. 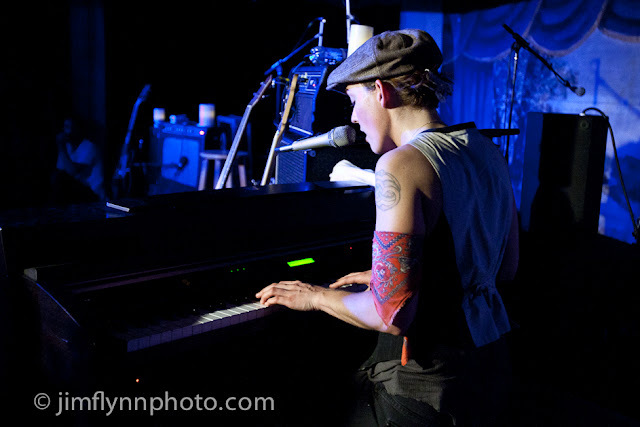 Take her unplugged performance of "Dying Day," for example, midway through the show. You could argue that an acoustically-challenged barn that is Gruene Hall is one of the worst places to try an unamplified experiment, but Carlile and her two guitarists, twin brothers Tim and Phil Hanseroth, pulled it off the best as they could, gathering the crowd close, and, more importantly, getting everyone to shut up for a few minutes. Carlile's voice didn't carry as much as it would in a nice theater, but the end result was still pure magic, much like her most recent live album, Live at Benaroya Hall with the Seattle Symphony. Aside from that moment, much of the show focused on energy, and the "country-ish" side of Carlile's music. It would be a poor description to categorize Carlile as a country artist -- she's far from it -- but the singer-songwriter was in the heart of Texas, playing in a legendary place that energized many Texans' careers. So, naturally, she twanged it up a bit at times, even playing Johnny Cash's "Folsom Prison Blues" in the encore. During a mini solo-acoustic set, Carlile paid tribute to Patsy Cline, effortlessly singing her hit, "Crazy," and she even dusted off an unreleased country tune, which Miranda Lambert recently recorded, called "Same Ole' You." Before playing it, she told a story about calling her mom after she wrote it, and playing it to her over her cell phone, to which her mom replied, "that's your hit!" And odds are Lambert will make it a hit. Aside from the twangfest that Carlile took part in, she and her band also delivered a slew of favorites -- even opening the show with four crowd-pleasers in a row -- "Dreams," "Looking Out," "Closer to You," which segued into The Beatles' "I've Just Seen a Face," and "What Can I Say." Carlile also shared some new material that she and her band recently recorded, the best of the bunch being a rollicking song called "Rattle My Bones," which she joked was once mistakenly titled somewhere on the Internet as "Rattle My Balls." The end of the main set brought a trio of songs that perhaps best define Carlile's career so far -- "Turpentine," "The Story," and the climactic "Pride and Joy." In the very end, Carlile sat down at her keyboard, covering Alphaville's "Forever Young," a hidden track on Live at Benaroya Hall with the Seattle Symphony. And yes, even though it was a cheesy synth selection from the 1980s, the crowd knew exactly what to do -- follow Carlile's lead and sing along before retiring outside under the Texas sky. 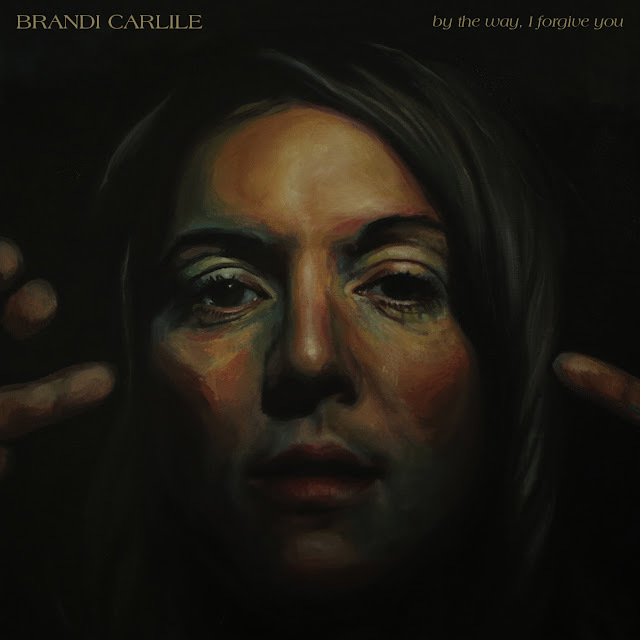 Read our interview with Brandi Carlile here!